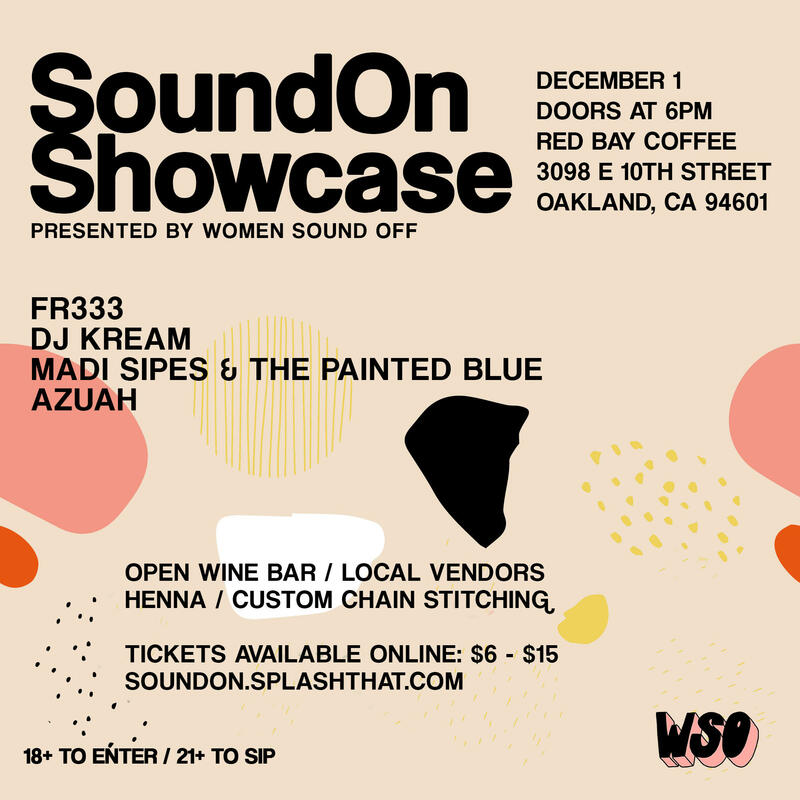 Join WSO for our 1st annual “Sound-On” showcase at Red Bay Coffee as we highlight four local womxn-identifying music artists on the rise.Enjoy intimate performances, an open wine bar (wow), local vendors, food vendors, henna, and custom chain stitching embroidery. WOMEN SOUND OFF is a platform celebrating creative women from all industries and walks of life. We’re focused on empowering, educating, and connecting women throughout their creative entrepreneur journeys. From music and media to tech and art, we work to create powerful and safe spaces for women to form alliances and have their voices heard.